Laptop gamers are in for a real treat with the announcement of the Intel Core 2 Extreme X7800 mobile dual-core processor. Both cores will run at 2.6GHz while sporting energy-efficient features for both consumers and manufacturers. It also runs 28-percent more efficiently than previous mobile processors. And for the ultra-geek, the bus-ratio locks have been removed so you can unleash the beast, so to speak. The desktop PC hasn’t been passed over with the announcement of the Core 2 Extreme QX6850 quad-core processor clocking in at 3GHz with a faster 1,333MHz system-bus speed. 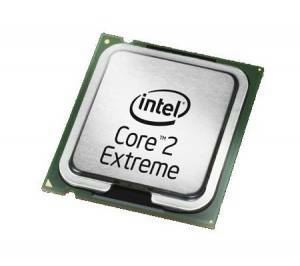 The gamers are undoubtedly wetting themselves over these new processors from Intel. Dorks.